The photo electric encoding water meter with the M-bus communication is popular used for the purpose of easy reading the water meter consumption. The principle of the meter is defining special code path for each position of the character wheel. Normally the register with 7 LEDs around the wheel circle, and once the meter received the request of meter reading, it will power on the LEDS through the M-bus power, illuminate the end part of the wheel surface, so the receiver could get the Dark- Lights signal, and have the consumption data accordingly. 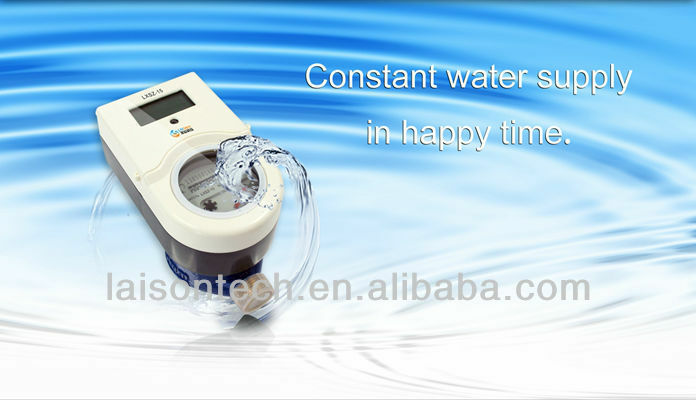 The photo electric encoding water meters has the features like accurate metering, non battery power etc. The structure of the system is normally including Point to Point Reading through HHU, or one concentrator carry many water meter terminals. One of the main differences between the encoding solution and pulse output solution is the sampling. Normally the meter is using read switch to produce the pulse, and then use RF module to transfer the pulse, or use prepaid module to calculation the consumption. Encoded direct remote-reading water meters do not use pulse output. When the reading device (usually is HHU) sends a request, the core component, the encoder, will be used to identify the location of character wheel, so that the actual readings of water meter can be read. The encoder works only in the reading process, so that the interference from external environment is not related to the normal metering of remote-reading system, which ensures that accurate or absolute readings can be transmitted from water meter to billing system with a full correct rate. In additionally, unique encoding principle ensures that there is no blind zone of metering when the character wheel is at carrying status and ensure the validity and accuracy of every meter reading. The encoder does not need a battery, and does not need power in the interval between two readings. When the meter is read, direct power supply can be provided by the reading device, so that the abnormal operation of remote-reading system caused by "electricity" can be avoided, and the service life of product will not be affected by the limitation of battery life. For installation, two data lines must be connected with M-BUS directly, without polar distinguishing, and any topological structure for wiring can be used, without complicated peripheral equipment. Therefore, the installation is simple and easy, with low construction cost. An encoded direct remote-reading water meter has a unique address code, ensuring the uniqueness of data. When a failure occurs in any location in the system, other parts can run normally, and the open-circuit position and location of failed meter can be determined, facilitating the check and repair. The unique principle of encoded remote-reading water meter keeps the electronic components of the meter in non-operating state, and they work only in the reading moment. 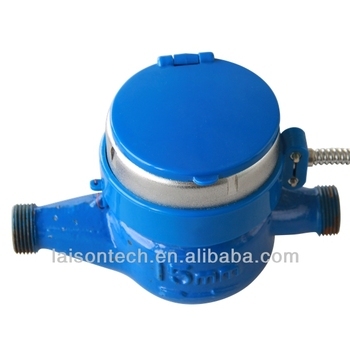 Meanwhile, for most water meters, in periodic maintenance, the electronic components are not required to be changed, and repair can be done on the basic meter, so that the usage cost is low.